Should taxpayers help foot the bill to give electric cars a jump-start, or should we wait for the technology to become affordable and dependable? Picture: Supplied. UK-based vehicle emissions expert, Andrew Fulbrook, invited by the Australian car industry lobby group to speak at its annual general meeting and gala dinner in Canberra Wednesday night, said: "If you want (an electric car) market in the future of any size you're going to have to help create it in the first place. If you want to truly transform an automotive market it requires effort from industry (and) government." Mr Fulbrook said if Australia "harbours an ambition" to have 10 to 15 per cent of the vehicle fleet switch to electric power some time between 2025 and 2030 "you need to start now, you can't wait". "Starting now means subsidising the creation of early demand and that should not stand solely on the shoulders of the (car) industry," said Mr Fulbrook, from London-based research group IHS Markit. 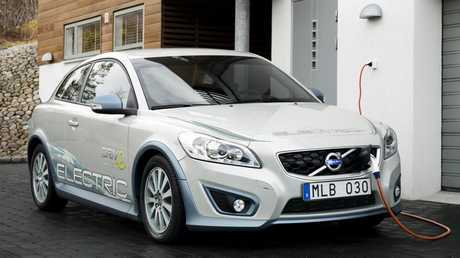 The take-up of electric cars has been more popular in Europe thanks to large tax incentives. Picture: Supplied. "Electric cars will be ready in numbers within two to five years, the question is … is there a consumer at the end of it? That's up to government to create that demand to an extent." When asked why the car industry should not wait until there is natural demand for electric vehicles - rather than diverting taxpayer funds from schools and hospitals to be put towards subsidies and charging points - Mr Fulbrook said: "that may be an option, but when is that going to happen?". Mr Fulbrook admitted current battery technology and cost "are not in a place currently to compete with conventional vehicles" but "they will be in future". "I think what is going to happen with electric vehicles in the transport sector is equivalent to what the iPhone did to the communications sector," Mr Frydenberg said in January. "The risk here is you'll have the rich person in Balmain buying a Tesla, subsidised by a bloke in Penrith who's driving a Corolla," Mr Kelly said in January. "And the Tesla will have more carbon emissions than the Corolla." 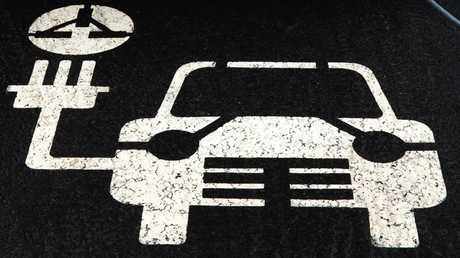 Sign of the times ... a painted symbol for a special parking bay for electric cars. Picture: Supplied. While foreshadowing the arrival of affordable electric cars within three years, the boss of Kia Australia, Damien Meredith, told media in April: "We think we might be able to ... go in with confidence with the product we've got based on market, not based on government legislation or government concessions." 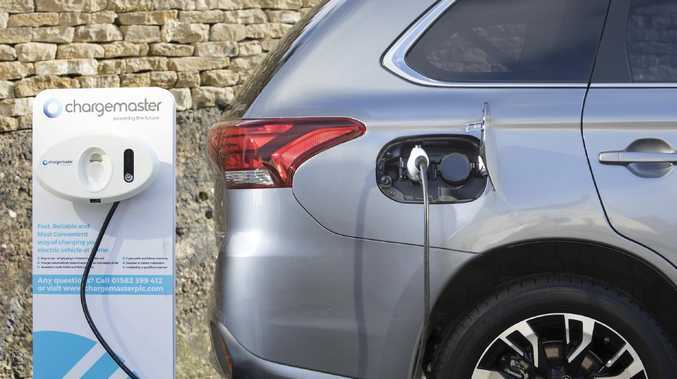 Spokesman for the National Roads and Motorists' Association Peter Khoury agrees with the car industry that there needs to be government incentives to get motorists into electric cars. "It's no different to how the government played a role in building roads 100 years ago at the start of the automobile era," said Mr Khoury. "Government has got to be part of the solution." "That means of the 40.9 cents the government collects in fuel excise, only 15.7 cents goes back to roads," said Mr Khoury.